Upon your request, we will (a) correct or update your personal information; (b) stop sending emails to your email address; and/or (c) disable your account to prevent any future purchases through that account. 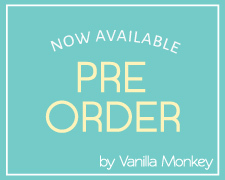 You can make these requests at the customer information section, or by telephoning, or emailing your request to VanillaMonkey LTD's Customer Support department at vmclothing@hotmail.com. Please do not email your credit card number or other sensitive information.